We found him – the gentle guy of today, the man of taste, who reads the newspaper, dresses well and owns a loyal dog. Does he drink Whiskey, is he able to cook an elaborate dinner? We imagine him playing tennis, drinking old Fashioned and collecting statues, he possibly is a motorcycle enthusiast? This is a man with manners, who holds the door, is never dusty, he is witty, intelligent and attentive. 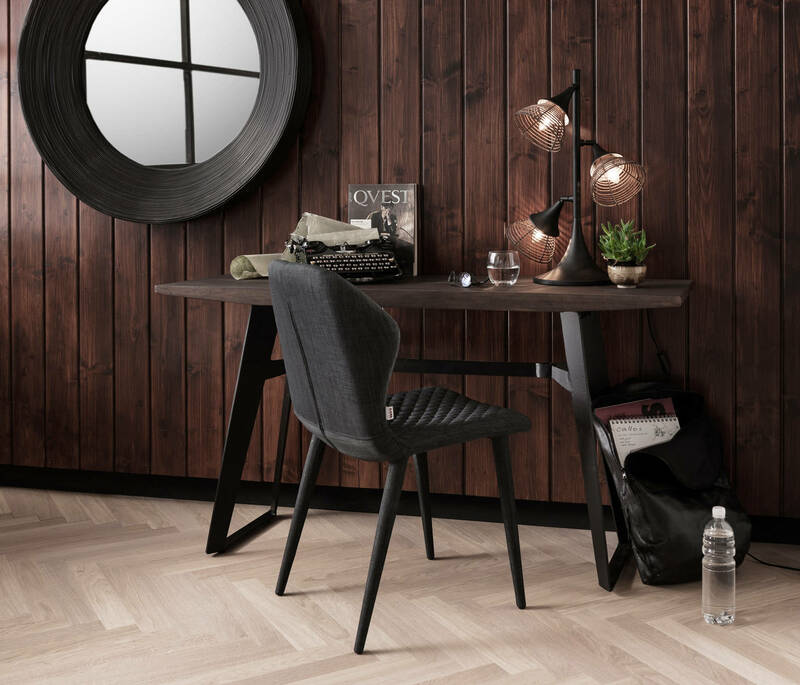 His domicile is stylish and he has found a continuous line – he loves dark wood, iron and leather. 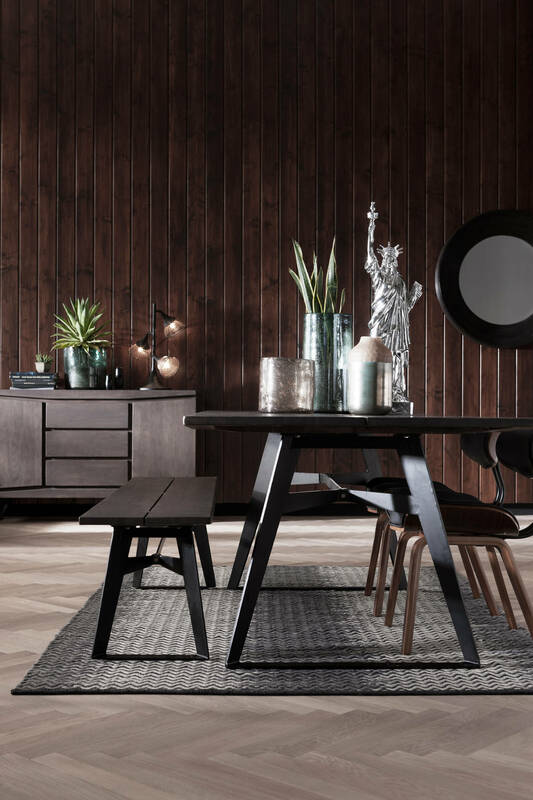 Modern Shapes and a darker colour scheme, we find brownish, grey and metal tones to have an elegant appearance. Shapes: the table top is slightly convex. 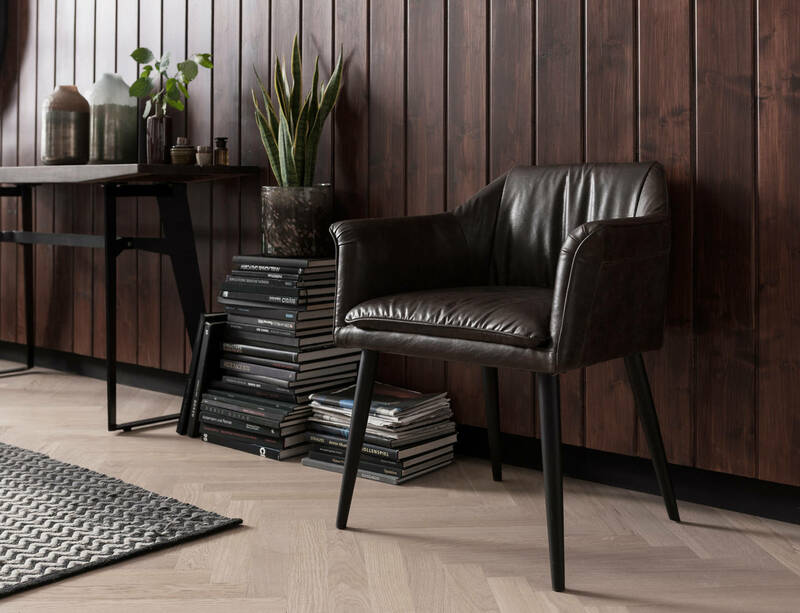 The combination of natural materials and a modern, elegant design are an eye catcher that you won’t get enough of. Colour scheme: dark colours are the basis of the look. 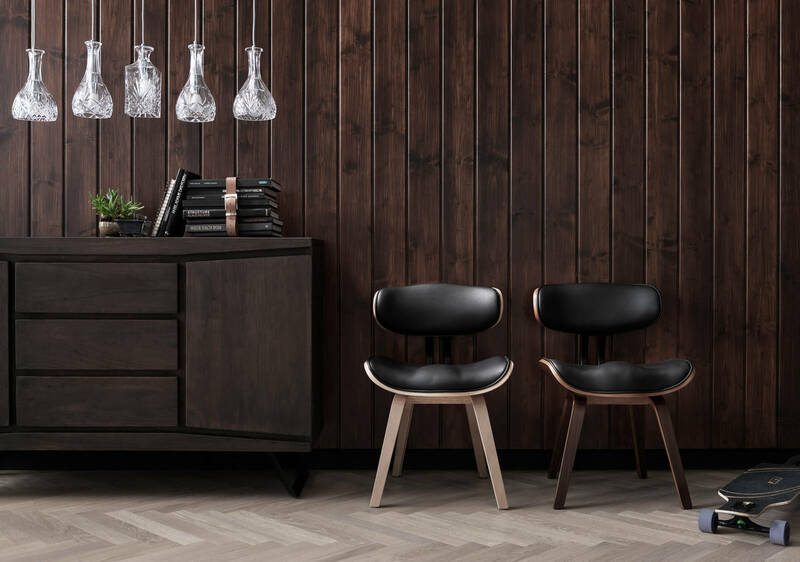 Wood paneling is the ultimate, if you don’t have this luxury at hand, simply paint the walls in grey, anthracite or cool browns. Do not leave the ceiling out! Plants: exotic plants such as palms, cacti and aloe vera are great to emphasize the colour scheme. 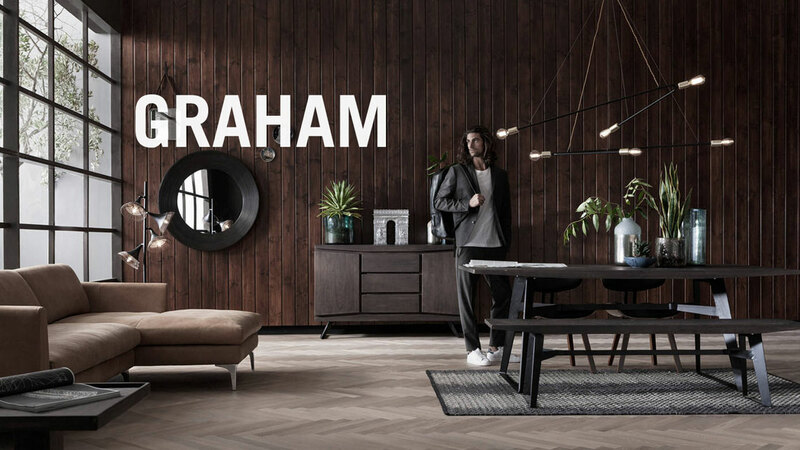 The Graham concept works with high quality materials. Everything displayed is made from the best wood, leather or textile. The overall impression is matte surfaces with some shiny details. Pictures and Posters are framed, the visible books are hardcovers quality always comes before quantity. 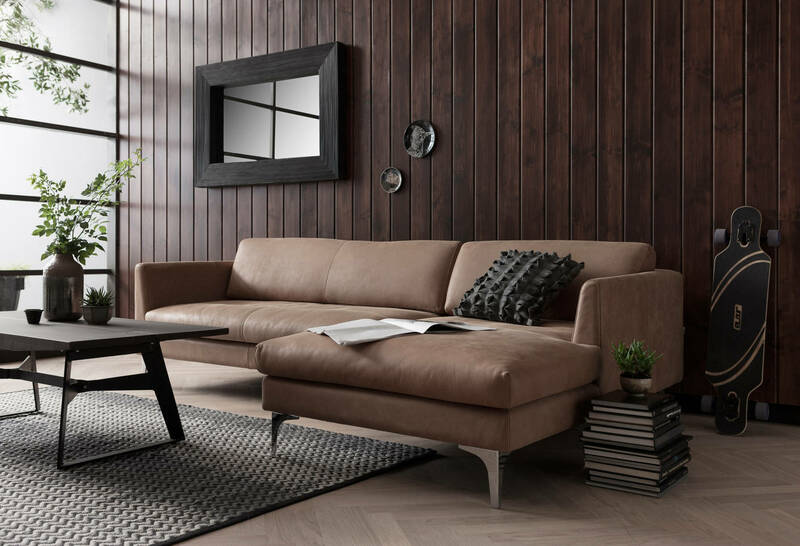 If you feel like trying out the gentleman’s look, just start with one or two statement items from the Graham collection and paint a wall dark, get rid of all these small decoration items (or hide them behind closed doors).